Beautiful, newly remodeled 2nd floor. All new furnishings including King Bed. Brand new carpeting! Upgraded bath has tub/shower combo. Brand new queen size sofa sleeper. Ceramic stove top in open kitchen. 2nd floor on end offers privacy and gorgeous ocean views! Bose sound system with dock for I phone and music. Our property has free onsite parking, private inground pool, WI FI, free local phone and basic cable. Swim and snorkel right out front off our sandy beach in the protected outer reef. We are near Kaanapali and minutes to shopping, restaurants and all beach activities. Extremely comfortable beds. Super clean and the best biew!!! The first thing you see when you get into the condo is the ocean. It is like being on a cruise ship but better. The views are spectacular. The whales were visible, the turtles swim by everyday. It can't get any better. The unit was clean, well furnished and provided all that was necessary. There are restaurants nearby but we really enjoyed the food trucks and the pizza from the street vendor. Mahalo for your comments! Hope to see you again soon! Ben P. from Lahaina, HI United States recommends this vacation rental. Eilimg fans have a remote and yiu can change the direction they turned so I fixed the one that was going the incorrect way. Easy fix. The weather was lovely, alittle too early for whales but we saw Lots of turtles and dolphins. This condo was lobely, except the sofa as the pull out was broken. We enjoyed it very much. Exactly what I needed. Quiet, easy access, BEAUTIFUL VIEW. Really, the view cannot be understated. It was VERY clean and not a lot of noise from the adjacent units. Pool is small, but clean. All tenants (both short and longer term) were very friendly! Everything was Awesome,this was our sixth year at the Kaleialoha! Dale W. from Manotick, ON Canada recommends this vacation rental. We enjoyed our stay here. The location is spectacularly fantastic and Lonnie took excellent care of us. However this particular unit at - is a little old and tired. It does have a relatively new stove and counter tops but the kitchen cabinets are most likely original from the 70s as is the bathroom cabinets. And the furnishings are definitely at the end of their life span. Nonetheless we were comfortable and enjoyed our stay. William S. from Lahaina, HI United States recommends this vacation rental. The Kaleialoha rental was just as described and TripAdvisor reviews were accurate... watching sea turtles from the balcony of unit 214 every day!! No AC but the fans were more than adequate and we really didn't notice because the sound of the surf and breeze off the ocean is so much better than a whirring AC unit. Mahalo and we will see you next time! Carl A. from Bella vista, Ar United States not recommends this vacation rental. This place was perfect for us. It was clean and had everything we needed. Close to everything and great views. Sea turtles were right at the property’s sea wall everyday sometimes as many as 8 at one time at high tide. I will mention that the unit has no air conditioning but that was great for us. We are from the gulf coast and the cross breeze and fans were perfect for us. Management was great and very attentive and pleasant. In summary, we would absolutely stay here every time we visit Maui. sunita f. from orange, ca United States recommends this vacation rental. Nice updated comfortable condo. The condo has a clean and updated feel with nice clean sofa and bed. The kitchen is very functional and all that you need. The only thing I would add is kitchen towels. The location is about a mile from the board walk so not too bad. The views from the nice private balcony are great!!!! Would stay here again. This condo is very nice inside with great views. It seems like it's been updated recently. Also the kitchen is fully stocked. My only recommendation is that they put kitchen towels in the kitchen. The view from the balcony is the real gem!! Nice private balcony and rommy too! My experience was very smooth with the rental company. I would be nice to have tv in the bed room but not a deal killer. Would recommend and stay again. Gregorio G. from Lahaina, HI United States recommends this vacation rental. L'appartamento è molto bello, pulitissimo, dotato di ogni confort, vista bellissima dal balcone, ottima posizione per raggiungere qualsiasi posto, non mancava nulla.giardino curato, responsabili molto gentili e disponibili e molto precisi. brian w. from broad channel, ny United States recommends this vacation rental. The experience was wonderful. The place was clean and was stocked with all we needed. I would go back and recommend it to friends. We utilized the pool and the beach. The view was to die for. Had one of the best times staying at Kaleialoha condo great location. Very clean and all you needed was in the unit. Highly recommended. Debbie S. from 0sburn, Idaho United States recommends this vacation rental. Awesome views, awesome location, very clean, great weather. Couldn't ask for more. Friends and family wants to know how we found this great place. Can't wait to go back. Steven A. from Boring, OR United States recommends this vacation rental. Very good service, clean, well maintained, great location. What a perfect little GEM!! This condo was exactly what we were looking for! The parking was adequate and FREE and the complex was easy to find and in a premier location near Lahaina! The complex was very quiet, clean, and well maintained. There was a beautiful clean pool, but who needs it just steps from the beach?! The unit itself was like a little hidden gem! It was extremely well equipped with pots, pans, flatware, dishes, and even a Brita pitcher! The towels and linens were very plush! The bed was large and comfortable and the other furniture was comfortable and clean too! The die for!! We watched humpback whales there several times a day!! We didn't have a chance to use them, but the grills were a very nice amenity as well! There were plenty of lounge chairs for all on the rock wall and a few steps down was access to a small, sandy beach! The office is only open until 5 daily, but someone is always available by phone day or night! Nick and Faith were both extremely friendly and helpful, and were a huge resource for delicious local places to eat!! And there was a W/D! My only complaint was that we were so enamoured with everything that we didn't find the available decks of cards, boogie board, binoculars, beach chair, or books available for use!! What a perfect little spot!! OLUSOLA O. from Lahaina, HI United States recommends this vacation rental. We stayed for 10 days and it was great value. We were in number 214 with excellent oven view. The wifi was decent throughout our stay. Will recommend this condo. Melanie S. from Aptos, California United States recommends this vacation rental. From the moment we opened the front door... BEAUTIFUL! Everything we needed to make or stay feel like home. The residents were so kind and helpful. Watching the sea turtles frolic from the patio while sipping sangria was sublime. We will definitely be back! faiez F. from Lahaina, HI United States recommends this vacation rental. Vacation rental was very comfortable to stay in and spacious! The view was amazing and we will make sure to stay here whenever we visit Maui! Thank you for making our trip so wonderful! A guest from Everett, wa United States recommends this vacation rental. The condo was nice, fully stocked with everything you need for your stay. Our only complaint was the furniture. There wasn't a comfortable place to sit and relax. The bed was the only comfortable place. Chris N. from Lahaina, HI United States recommends this vacation rental. Mahalo for your comments! See you next time! Sananquanita T. from Lahaina, HI United States recommends this vacation rental. It was our 1st time renting a condo and I must say that this was and excellent choose. Right off the water overlooking the ocean each night. The condo was clean and stop on. thanks for share your home with us. Roy R. from Lahaina, HI United States recommends this vacation rental. Darrell & Diane V. from Havertown, PA United States recommends this vacation rental. Everything(the condo, location, views, hospitality, activities, weather, and friends) exceeded our expectations! A truly memorable holiday! Virginia O. from San Jose, CA United States recommends this vacation rental. I rented 214. It was bright, well ventilated, well stocked with the essentials. I loved the sound & vision of the ocean as I was in the midst of bronchitis. Massage 3 blocks away, grocery stores within 5 blocks, best fish tacos in Maui next to Healthy food store across from a gorgeous park. I've stayed in different units here and was comfortable in all of them. Barbq pit, lounge chairs, pool, convenient to Lahaina and fancy resorts. Perfect price and a perfect location. Jackie C. from Erin, Ontario Canada recommends this vacation rental. This condo was beautiful. King bed is fantastic, clean, all the amenities, the ocean right there within a few feet of our lanai. We watched whales, snorkeled with sea turtles right in front of the condo. Staff were friendly and helpful. Pool was warm and clean. Can't say enough good things. Location is great too. Close to everything. I highly recommend this property. A guest from Lahaina, Hawaii United States recommends this vacation rental. Unit was clean comfortable and had amenities we did not expect--beach chairs umbrellas. Our son was not as pleased with his unit. Jamie P. from Seattle, WA United States recommends this vacation rental. I wouldn't hesitate to stay at Kaleialoha a second time! Very well maintained and it felt like our home away from home. Can't beat an ocean facing lanai 30 ft. from the ocean either! Amber T. from Belmont, CA United States recommends this vacation rental. Great view, upscale amenities, and close to everything. I couldn't have asked for more. A guest from Eugene, OR United States recommends this vacation rental. This was my wife's and my first visit to Kaleialoha, and our first time staying in northwest Maui after two previous stays in Kihei. We have friends who own one of the units at Kaleialoha, and they encouraged us to come and visit while they were there. What a great time! A week with no rain and temperatures between 84 and 70, some "vog", some days with mild trade winds. The room was wonderful…well appointed, clean, and comfortable. The view from the lanai was wonderful, and we enjoyed numerous turtle-watching sessions. We didn't close the sliding glass doors to the lanai the entire time, although it took a couple days to get used to the sounds of the ocean throughout the night. Thanks to the owners for providing beach chairs, a boogie board, 3 (maybe more) sets of beach towels, and of course, free wi-fi! All in all, a wonderful visit, and we hope to be back soon! A guest from West Richland, WA United States recommends this vacation rental. Unit #214 was perfect for a couple. The location is wonderful, close to many great beaches for snorkeling or lounging. Nearby Lahaina is a fun town to wander through and has many good restaurants. We spent many breakfasts and dinners on our lanai at the condo, just watching the surf or sunset. It was clean and comfortable and matched up to the online photos and description. We would return and recommend #214 to others. Victoria W. from Homer, AK United States recommends this vacation rental. Gilbert C. from Carson City, NV United States recommends this vacation rental. My husband and I have had 10 days vacation in Maui and stayed at Kaleoloha condominium. We like this place; it is very cozy, well organized and comfortable. The location is the best - close to everything. Only one thing was negative – the access to the beach. David E. from Maple Ridge, BC Canada recommends this vacation rental. We enjoyed the quiet, clean condo that was very well equipped with marvelous views. A guest from Wooster, OH United States recommends this vacation rental. It was very nice. Had hoped that it would be an area of beach where you could wade around the rocks, but it was too rough. The ocean stays shallow for a very long time in this area so the whales were very far out, but there was a lot of activity and the turtles were right out front just like they said they would be. They took turns sleeping on the little beach next door, every day we were there. James C. from Chula Vista, CA United States recommends this vacation rental. A guest from The Dalles, OR United States recommends this vacation rental. We loved our stay...our third at Kaleialoha, sixth in Maui. As retirees, we prefer the quieter, more laid back western side of the island for our stays with visits to other parts of the island. We are drawn back by the friendliness of the staff...and guests... Also, the beauty, of course. There is no beach, but we are ok with that. Plenty of beautiful beaches close by to enjoy if we wish. The units we've enjoyed are well appointed, very clean, and comfortable. Pride of ownership is obvious. Affordable, too. We look forward to future visits. Jim H. from Oroville, California United States recommends this vacation rental. This last trip was my 3rd stay at Kaleialoha and I have never been disappointed. When I travel to Maui, this is the only place to stay! Now that I have stated that, I hope not too many people read this so I don't have difficulties in the future booking a condo!! Love you guys, you are awesome!! Arie H. from Prescott, AZ United States recommends this vacation rental. First time to Hawaii and we had a great time, the condo was wonderful. Cara Y. from Ellensburg, Wa United States recommends this vacation rental. The property management folks were very accommodating. The property was wonderful and the condo was perfect. Orlando B. from Rosario, AR Argentina recommends this vacation rental. Pauline M. from Auchterarder, UK United Kingdom recommends this vacation rental. Our condo was on the first floor with breath taking views directly overlooking the ocean. The location was quiet yet convenient for lanai a and the beaches further north. Nicholas A. from Pevely, Missouri United States recommends this vacation rental. The beach is right outside your condo, it is a secluded area within walking distance. The condo is just a short drive from Whalers village and Lahaina front Street where all the restaurants and everything you could want are. Would recommend this place to anybody, had a great time, we will definitely be back. A guest from Redwood City, CA United States recommends this vacation rental. Very clean, wonderful ocean view, lots of turtles! Nora Y. from Cassville, MO United States recommends this vacation rental. this is 1 of the most beautiful places I have ever stayed. Staff extremely friendly condos are clean the grounds are clean the view is unbelievable. You can lay right at the ocean wall and watch seaturtles play. It's quiet its location is close to any activity that you would like to do. I would highly recommend this place to stay. A guest from Maple Ridge, BC Canada recommends this vacation rental. Convenient location, spectacular views and sunsets off lanai, most relaxing vacation property, friendly , welcoming staff. Jessica N. from Sausalito, California United States recommends this vacation rental. Conveniently located on the West shore near many great beaches and snorkeling spots. The condo was well appointed, clean and comfortable with amazing views. It had all of the amenities you would need, including beach equipment, which made the stay even more enjoyable. We especially loved the fact that sea turtles love this area for swimming and sunbathing, so we had unobstructed views of these lovely creatures without the hustle and bustle found at other beaches. The snorkeling in this area also turned out to be quite nice and the sunsets even more amazing. All in all it was great value for the money and we would absolutely stay here again. Highly recommend! A guest from Edmonton, Alberta Canada recommends this vacation rental. Amazing, wish we could have stayed longer. Rental apartment was perfect for vacation, it allowed us to relax and recuperate whilst enjoying watching whales breach and turtles play all from the comfort of the beautiful lanai. Scott M. from Seven Hills, Queensland Australia recommends this vacation rental. We loved this Condo. Great Spot so quiet and peaceful and a fantastic spot to watch whales whilst your can eating breakfast on the balcony - just magical. Laura H. from United States recommends this vacation rental. We loved watching the turtles that hang out at Kaleialoha. There was always at least one right in the water if not three! The property is well maintained and peaceful. The unit we stayed in could use a coat of paint and a little TLC, but it was still a nice, clean, comfortable unit. We had a lovely time! Nancy P. from San Luis Obispo, CA United States recommends this vacation rental. Just one short flight of stairs quickly took us to the condo, which was just recently painted and carpeted, and has new furniture and linens. Breakfast on the lanai started our day, sitting on tall stools and gazing out at the ocean, which was on the other side of a grassy area. I'd recommend both the unit and the management. 3rd Time at Kaleialoha...never dissapoints! Tara H. from Beaumont, Alberta Canada recommends this vacation rental. This was our third time renting at Kaleialoha condos in the last 4 years and it just seems to get better everytime!! We loved our first two stays, but this time in #214 was absolutely PERFECT!!! The newly renovated suite is so clean and cozy, and all the little things you need are always right at your fingertips...we especally loved the Bose soundwave system in the living room; we would hook up our ipod and listen to Hawaiiain music while we had dinner on the Lanai watching the whales and turtles play as the sunset...PURE BLISS!!! 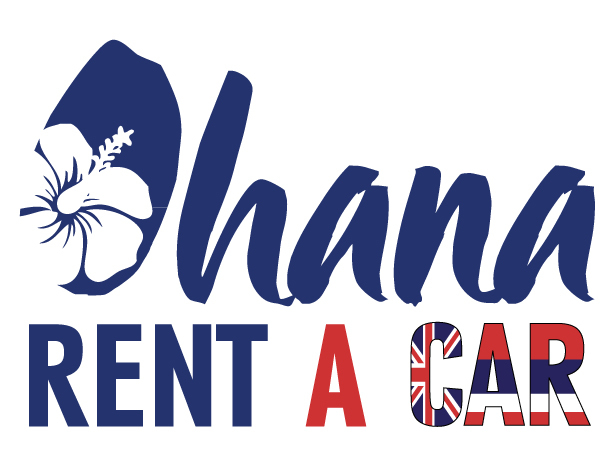 I highly recommend Kaleialoha condos for couples or adult travellers. If you have small children, keep in mind this is a very quiet building, and although the Lanai in every unit is right over the ocean, there is not much beach access on the property for kids to enjoy other than a small beach shared by Kaleialoha and an adjacent property. This little beach is excellent for snorkeling and sea turtle encounters, but the water is a little rough for kids and non-swimers, and is so small that in the evening when the tide is up, there really is no beach as it is under water. There is however a small family public beach park just a few blocks away, and also Kaanapalli Beach Resort is only 10-15 mins away by foot. It is a HUGE and BEAUTIFUL beach with plenty to do around the resort hotels, shopping, and beachside restaurants/bars. A guest from Snohomish, WA United States recommends this vacation rental. My husband and I stayed in unit 214 and thought that it was lovely. Sitting on our deck, we were only about 40 ft away from the water . It was a beautiful view. Sitting on the deck watching the sunset was one of the highlights....absolutely breathtaking. I wish that we had more time this stay to enjoy the BBQ and other things...maybe next time. It was very helpful to have the washer and dryer in the unit(although the dryer was really loud and needs some work) The owners really did seem to think of everything though and we thoroughly enjoyed our stay.Make sure you head up to Napiili Bay(only about a ten minute drive)...we snorkeled there and saw more sea turtles than we could count...Fabulous!!!! !